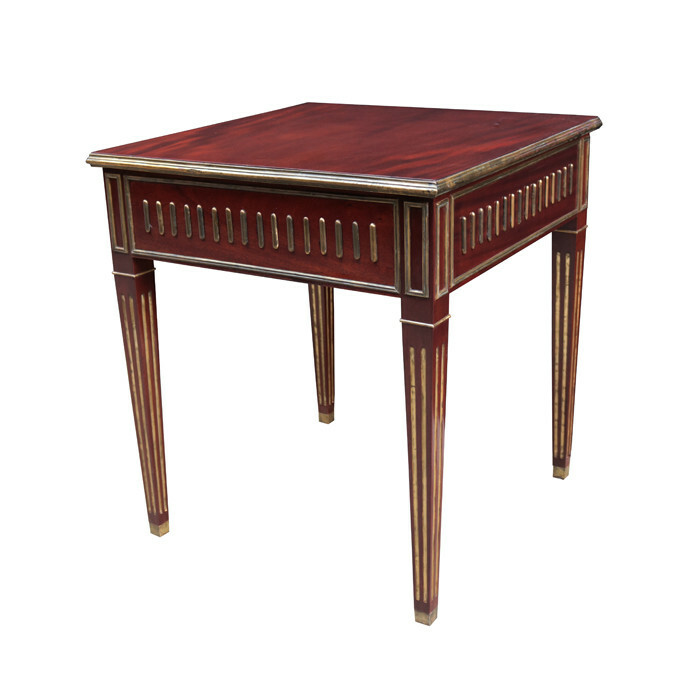 A fine Neoclassical end table. Mahogany with patinated brass inlay , details and sabots. Featuring a hidden drawer. Dimensions: H:31 W:28 D:28 Inches.